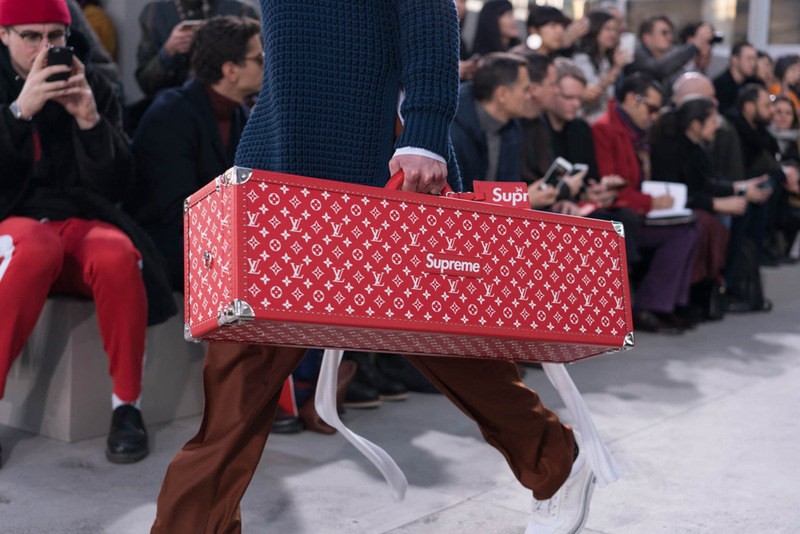 Luxury fashion house Louis Vuitton has launched a collaboration with cult streetwear brand Supreme. 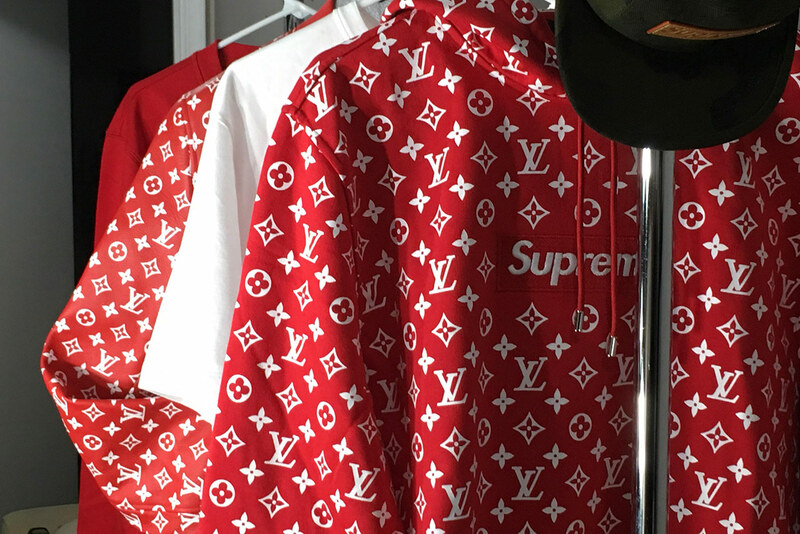 The Supreme x Louis Vuitton capsule collection, has been called the ultimate brand collaboration, and brings together two of the most sought after brands in the world. The motif features across the Fall/Winter capsule collection, which includes clothing, accessories and jewellery. The limited edition collection will be sold via a series of highly anticipated pop-up sales in Sydney, London, Los Angeles, Beijing, Tokyo, Paris, Miami and Seoul. The collection draws inspiration from the creative and diverse culture of New York City from the ’70s, ’80s and early ’90s, according to Louis Vuitton artistic director Kim Jones. 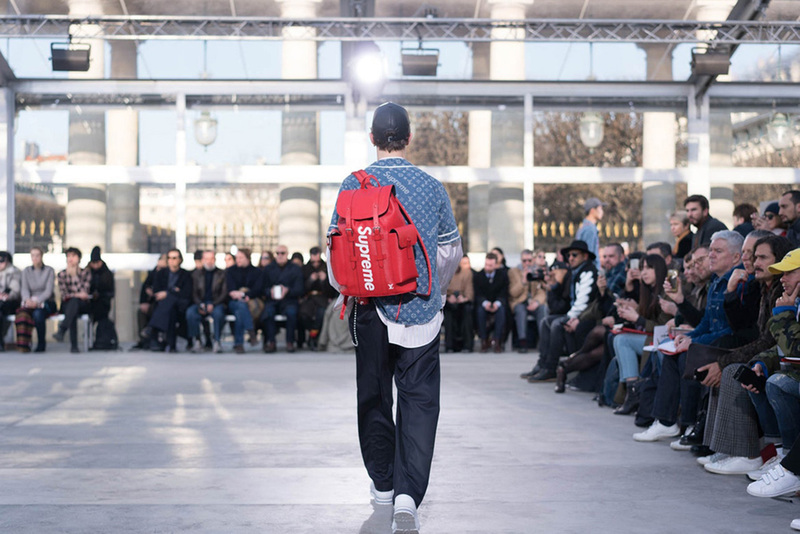 The collaboration is a fascinating strategy by the luxury Parisian fashion house, which is seeking to enhance its street cred through the partnership with Supreme – the skateboard brand which has grown into a global phenomenon. Starting as a local skate shop on Lafayette Street in New York City in 1994, Supreme has become one of the world’s coolest brands, garnering a cult and loyal following. It has built its brand on savvy marketing, relying on social media and word-of-mouth as opposed to traditional advertising and limited-edition products to create exclusivity, demand and hype. The partnership provides the brand with the quality and prestige of the Louis Vuitton brand – along with the price tags. 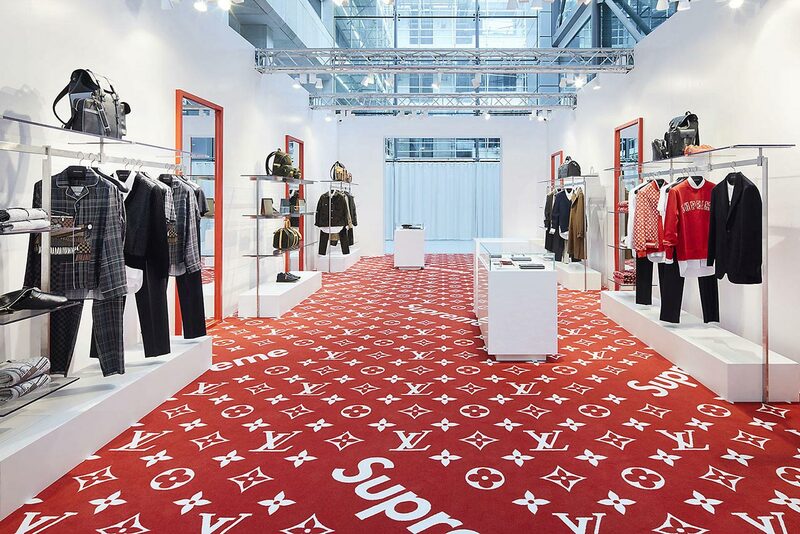 By partnering with Louis Vuitton, Supreme elevates its brand into the luxury fashion world increasing its worth and status while also exposing the brand to new big spending consumers. For Louis Vuitton the collaboration provides a huge dose of cool to the brand, which is much needed as rival fashion houses such as Gucci, Balmain and Saint Laurent, have become highly sought after by millennials. 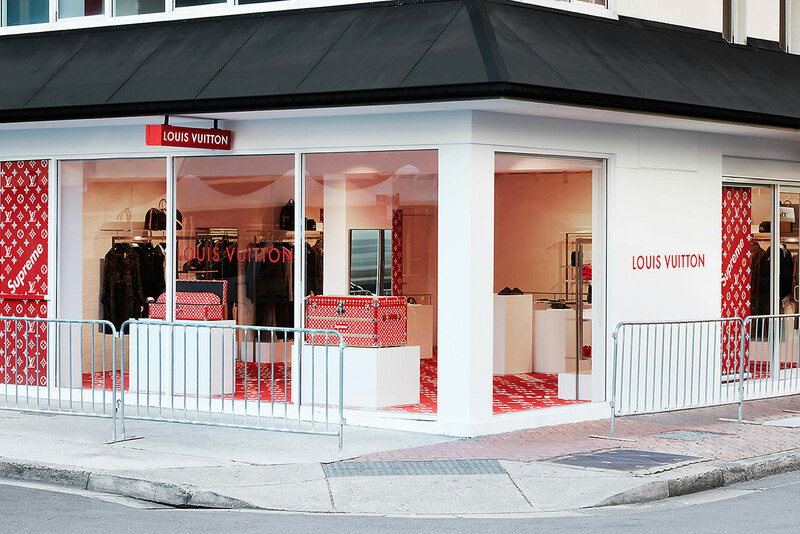 It also opens the brand up to a whole new market of consumers who may not have previously bought Louis Vuitton products. 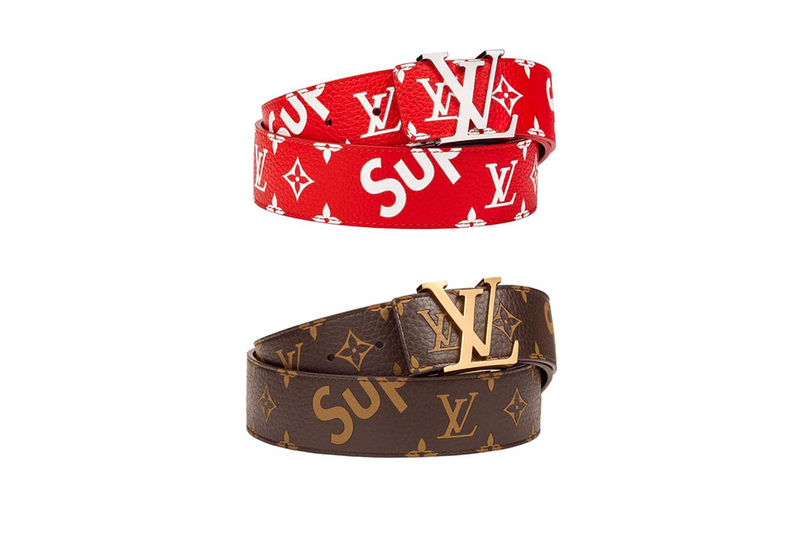 By combining the cult cool designs of Supreme with the classic quality and style of Louis Vuitton, the collaboration was certain to be a knock-out. 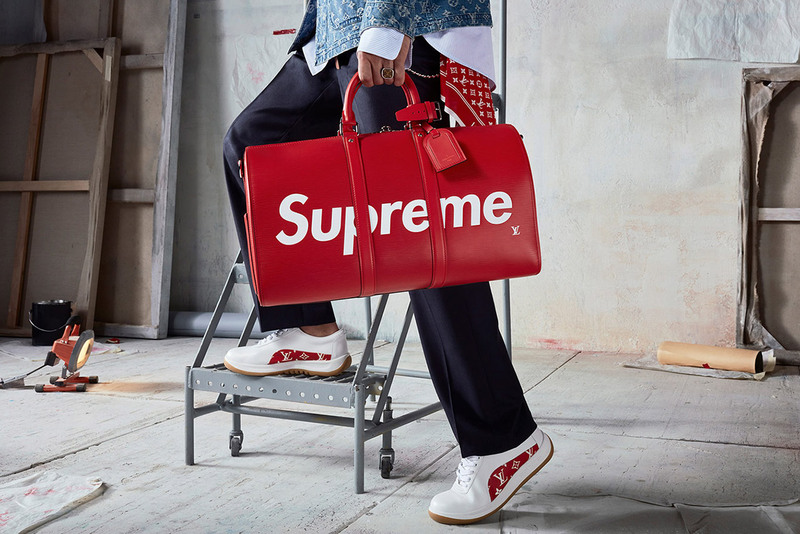 Adding in the limited-edition pop-up sales, which are part of Supreme’s make-up, also ensures the exclusivity and hype. The sales attracted huge crowds with stores selling out within minutes, much to the anger of those waiting in the queues. Products from the collection are already on eBay with huge markups in price – an XL hoodie sweatshirt was listed for US $25,000. This is savvy partnership, a smart collection and superb case study in creating consumer demand.